What have death, sleep, dreams, robots, reflections, consciousness, ghosts, superheroes, viruses, parasites, reality, illusion, infection, Heaven, stars, black holes, quantum physics and string theory got in common? They are all fascinating phenomena which could only exist in a simulated universe. 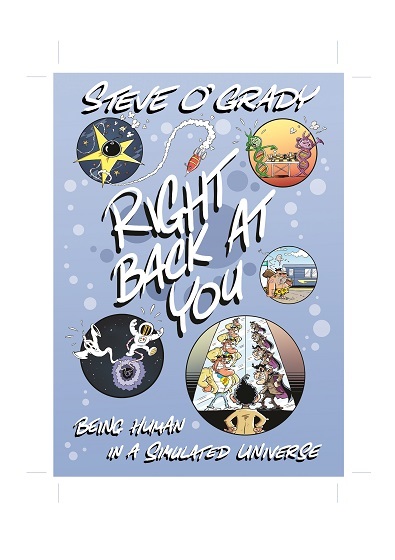 Right Back at You examines human consciousness, showing how our human brains are immersed in simulation, because the universe is a simulation. Our contradictions as humans make us who and what we are, and the book explores how simulation is deeply connected with what we see, the way that we see it, and the consequences this has for us humans.